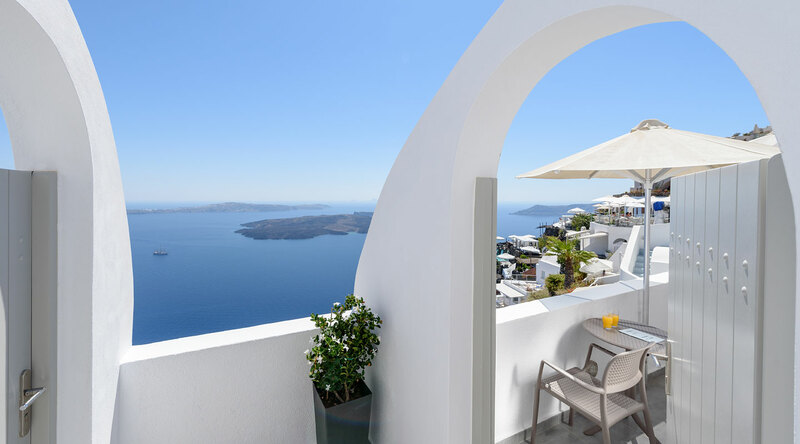 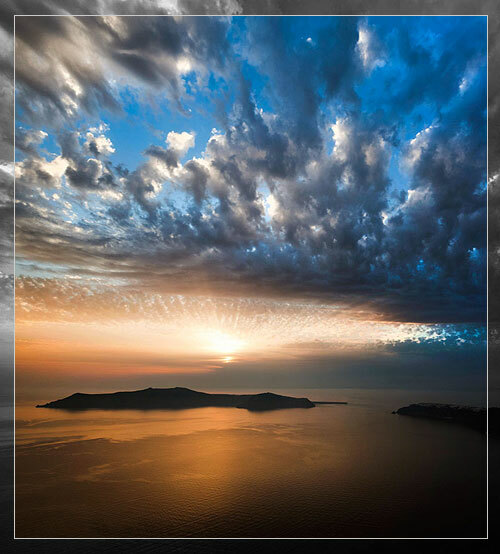 Krokos & Gorgona Villas and Caldera Apartments are neighboring premises with common reception and facilities located at Imerovigli village in Santorini. 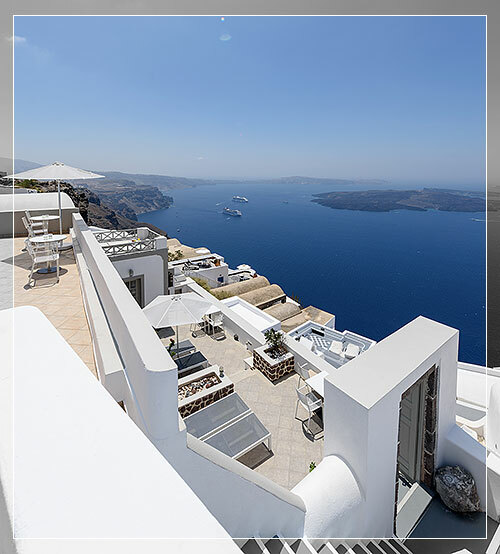 Hotels are situated at the edge of the Caldera Cliffside, consisting of several buildings, in a distance of 80 meters from each other. 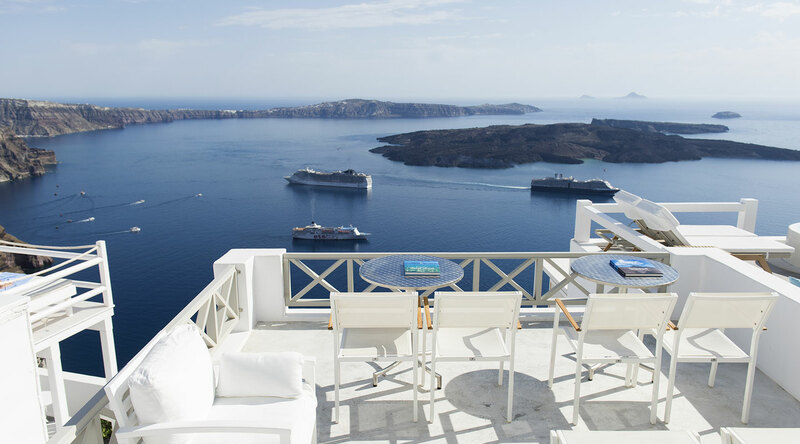 All rooms offer spectacular panoramic views to the volcano and the Aegean Sea. 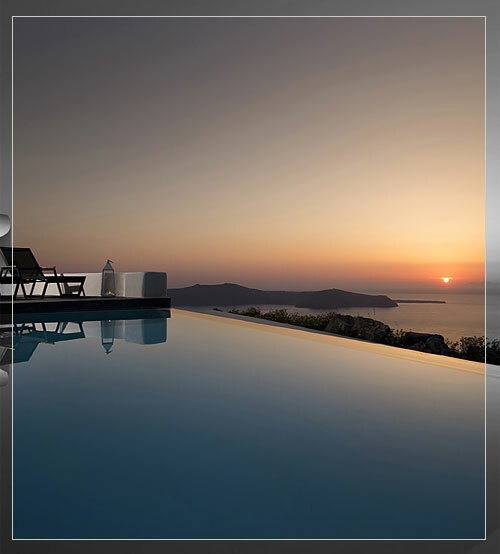 The hotel complex is in very close proximity to the heart of Imerovigli village (few minutes walking distance to shopping area, super markets, taverns and restaurants as well as the central bus stop).